Happy Movie Release Day to The Hunger Games!!!! I don't know about you, but It feels like Reaping Day! I've been waiting YEARS to see it on the big screen. It got me thinking about my Hunger Games journey with this incredible story. I thought I'd share it with you in celebration for this EPIC day! Way back in 2008 my sister Becca was reading on Stephenie Meyers website about a book she was so into she couldn't put it down. Becca knew she had to have it. 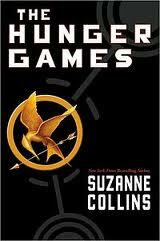 On release day she picked up The Hunger Games by Suzanne Collins. Then she called me in Scotland talking a million miles per minute about this amazing book. I got on Amazon and read the free chapter sample. I thought it sounded pretty good. One problem, The Hunger Games wasn't set to release for another 6 months in the UK. I was gutted! My sister promptly sent me a package. 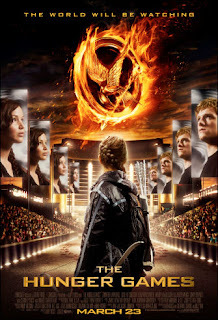 THE HUNGER GAMES!! Thanks Becca! She inscribed my copy with this,"May you never have to fight for life or love. Love, Becca"
I could not put it down. I actually brought it to church with me and was reading it under my bag while the Bishop was speaking. It was just that good! I didn't eat while I was reading or anything. The minute I finished the book I said,"WOW" and turned back to page 1 and started to re-read it all over again. It was that fantastic. I'd never read anything like it. I was desperate for a sequel, but I didn't get one for a yr! All of you who read the books later were so lucky to have the next book at your fingertips. It was pure torture waiting to find out what happens. In the mean time I re-read it several times and shared my book with my friends. I was talking about The Hunger Games where ever I went and several copies were bought for Christmas and Birthday presents. I couldn't get it out of my mind. In the Fall of 2009 I was so eager to read Catching Fire that I made sure I had the day off of work. I was entering every contest known to man to get my hands on an early copy of Catching Fire too. No such luck. I was waiting outside the book store before they opened to get my copy of Catching Fire on release day. I grabbed breakfast and lunch so I wouldn't need to make anything and I could focus on just reading. Pure brilliance is all I can say. Catching Fire was my favorite so far! My love for Peeta was so strong and I called my sister and we chatted for hours about the books. By then most of my other sisters--I have 4--and my Mom had read The Hunger Games so we were all talking about the books that week. AMAZING!! Now, I needed to wait another yr to find out the ending to the most amazing trilogy I'd ever read. Fall 2010 I was re-reading the books over and over again, giving them as gifts, and whenever someone wanted a book recommendation I couldn't help but offer The Hunger Games. It was a no brainer! I've not met anyone who hasn't liked the book. I had been speculating what the finally would bring and thought I had a pretty good idea where it was headed. I was there on release day to grab my copy and although I had asked off work, my boss got really ill and I needed to come in and cover for her. I was gutted. I wanted to read. So, I got my book early and went to Starbucks to read until my shift started around the corner. Then I couldn't put it down and pretty much didn't do anything but read while at work and I let everyone else cover it. Bad employee, I know. Sadly, I did not enjoy Mockingjay. I didn't think it fit well with the story and I didn't like my favorite character's anymore. I thought author Suzanne Collins turned it into some kind of war propaganda book. It was like Katniss hadn't learned anything through all the Games and she was more of a pawn than ever before. And my Peeta! Well, he was never the same. Suzanne Collins took my favorite character away from me. I re-read it the minute I finished it just to make sure my feelings were still the same. Yep, didn't like it. Now, I pretend that Mockingjay isn't a part of the trilogy. I'll make something else up in my head but I do not want what Suzanne Collins wrote. Harsh, maybe. But true. Now with the upcoming movie I've been trying to get all my friends to read the trilogy before we see the film. It makes my heart happy when they love it as much as I do! I'm not gonna lie, I feel like I helped start the Phenomenon that is The Hunger Games! I'm an original 2008 fan! So, what's your Hunger Games journey? Where did you hear about the books and what was your reaction?! Haha I have similar feelings towards Mockingjay! In fact, I often tell my friends who are reading it, "STOP AT TWO! You THINK would want to go on but you really really don't" because it was such a let down. I feel like it negated everything. 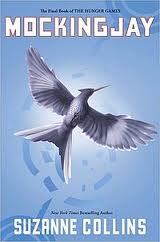 I'm a latecomer to THG, I only read it last year! I mostly heard good things about it and for the first two books, it didn't really disappoint but gah, the ending. I got into Hunger Games the same way you did. Becca! She picked it as our book club selection and I wasn't going to read it, but she brought it by and told me to and I wasn't cuz it didn't sound like my type of book, but I was bored one day an decided to pick it up and could not put it down! @Elena I'm so glad we see eye to eye on Mockinjay! I know we're not the only ones either. It's such a shame of an ending to a great series. I can't even describe all that is wrong with that book! @Amanda Becca ALWAYS has the best book recommendations. She has a knack fro finding amazing books! She's my go to person for books. I trust her when she says she's got a great book I'll love!